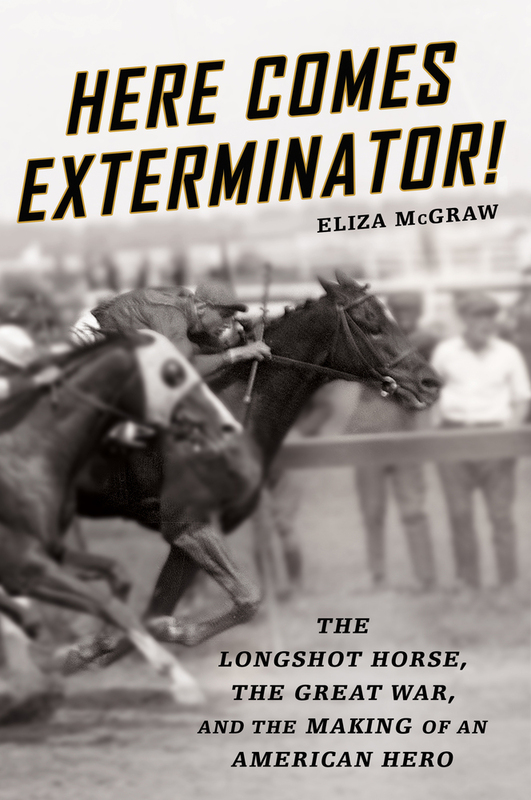 The father of the Kentucky Derby called him “the greatest all-around Thoroughbred in American racing history.” Sportswriter Grantland Rice simply called him “the greatest racehorse.” Now Eliza McGraw tells the story of how a gangling, long-shot Kentucky Derby winner named Exterminator became one of the most beloved racehorses of all time. Here Comes Exterminator! draws readers into the golden age of racing, with all its ups and downs, the ever-involving interplay of horses and people, and the beauty, grace, fear, and hope that are a daily part of life at the track. Caught between his hotheaded millionaire owner and his knowledgeable trainer, Exterminator captured fans’ affection with his personality, consistency, athleticism, and heart. Exterminator’s staggering success would dramatically change the world of horse-racing. He challenged the notion that American horses would never live up to Europe’s meticulously charted bloodlines and became a patriotic icon of the country after World War I. And his longevity established him as one of the public’s most beloved athletes, paving the way for equine celebrities like Seabiscuit and showing Americans they could claim—and love—a famous racehorse as their own. Praise for Here Comes Exterminator! "Readers who couldn't get enough of Laura Hillenbrand's Seabiscuit will welcome this new title; with its colorful cast of characters and exciting down-to-the-wire action, it should have wide appeal." "Before Seabiscuit, before Man o’ War, Exterminator raced his way into America’s heart. Eliza McGraw shows how his cheerful endurance still wins our enduring love." "A great book about a great horse." ELIZA MCGRAW is a contributing writer for EQUUS magazine and author of two instructional equestrian books as well as two academic works. Her horse-related writing has appeared in The Chronicle of the Horse,The Blood-Horse,Mid-Atlantic Thoroughbred, Raceday 360, the New York Times’ racing blog, and The Washington Post. She has taught at American University and earned degrees from Columbia University and Vanderbilt University. She lives in Washington, D.C., with her family, and keeps her paint mare Sugar in Potomac, Maryland.